Achieved their best month and week in sales ever! 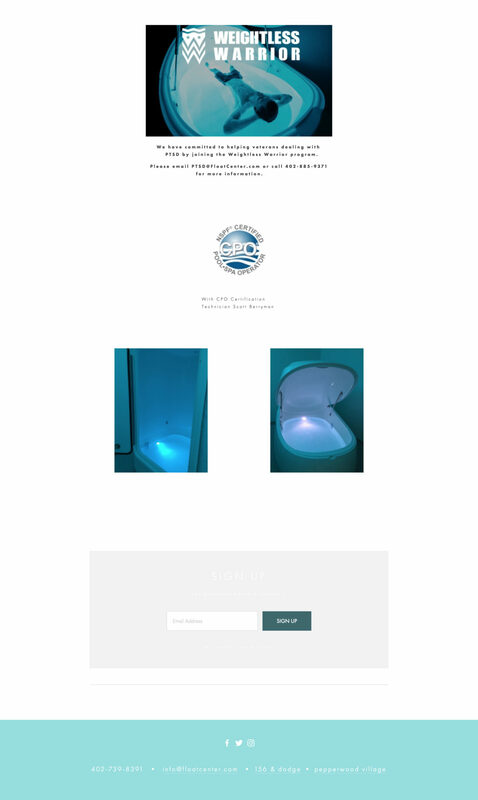 We used their Business Upgrade hours to design and send out their monthly newsletter featuring their Holiday sale as well as revamping their website to have more information for first-time customers. 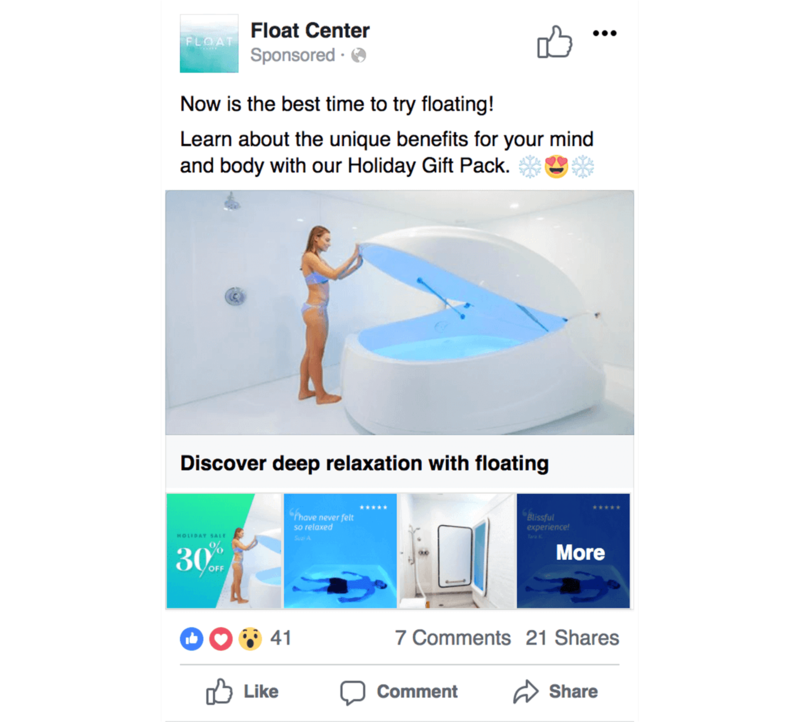 Float Center wanted to get more people floating in their center and the holidays was a prime opportunity for us to drive sales of floats and gift cards during the first month. 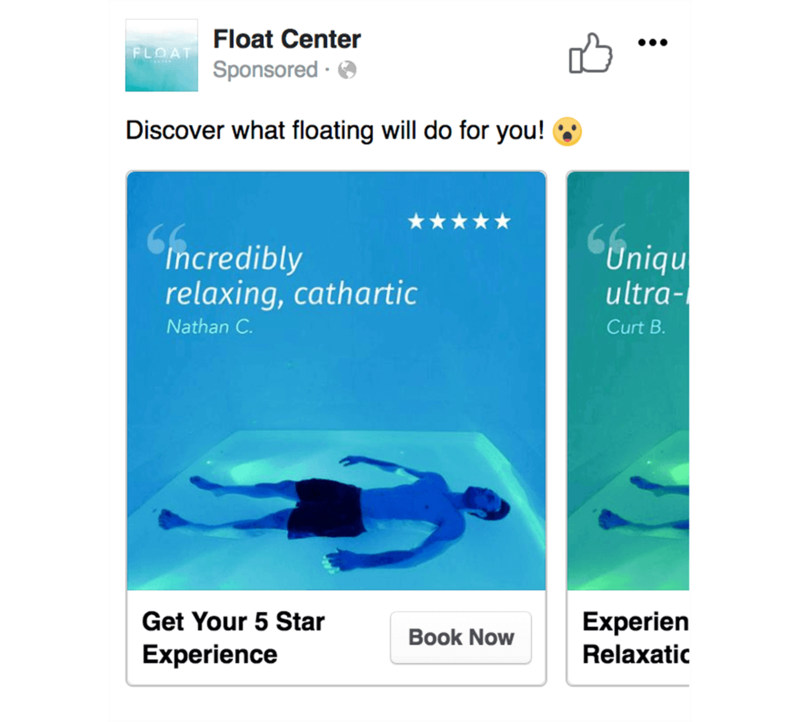 We also developed a long-term strategy with a plan to turn those first-time floaters into members. 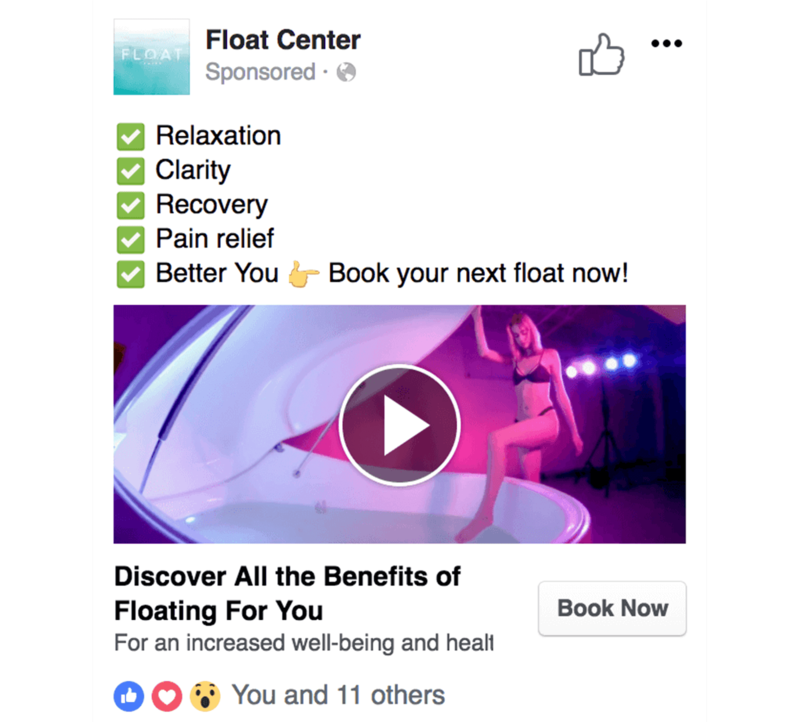 We increased Float Center’s ROAS by 124% compared to their previous month in sales.